Southekayi/Cucumbers are such a versatile salad vegetable that they tend to be bought frequently. Southekayi is a Kannada (Karnataka, India) word used for cucumber. Cucumber salad is very well known side dish all over the world and of course is prepared in different ways. My mother used to prepare this dish as major side dish for jawar rotis for dinner. But I serve this dish with all types of special rice and rotis. This dish is very tasty and healthy as well. Cucumbers have a very good quantity of water percentage, which helps in keeping body hydrated and at the same time, helps in eliminating toxins. For overall health of the body, it is considered as super food. It is an ideal food for the people, who are thinking of weight loss. Ingredients used for this dish are all raw, no need to cook any thing. This dish can be prepared instantly within no time, it may take 5 minutes to prepare this dish. Let’s see how to prepare this tasty and healthy dish. The important part is selection of cucumber. Picking up a good one every time and storing it properly are important factors to be considered. Look for cucumbers with a bright, even colour of skin without dullness or sweating. The cucumber should look fresh.Test the firmness of the cucumber. A good cucumber is firm and does not bend. This firmness should be right through to the tips of the cucumber. Look for a fleshy cucumber but not too large in its shape. Smaller cucumbers are crisper and have finer seeds, making them more appealing to many people, especially kids. Avoid cucumbers with blemishes, soft spots, yellowing, or easily bent. 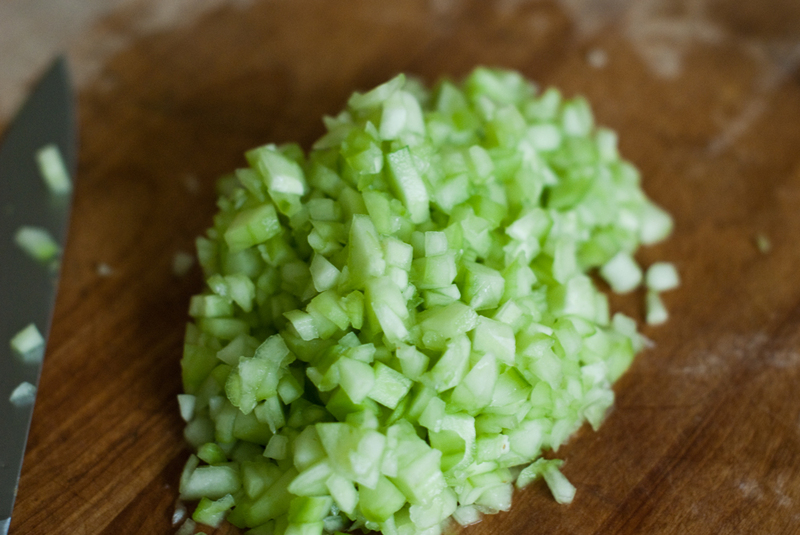 Clean and chop cucumber and onion into unevenly small and thin pieces. Pour them to a serving bowl. Sprinkle salt and black pepper powder over it and toss it. Freshly crushed pepper powder will enhance the flavour of salad. Beat the curds/yogurt without adding water and pour over the chopped vegetable. Clean and chop coriander leaves. Add them to salad and mix it slightly. Sprey olive oil over it and stir it very softly. Cucumber salad/southekayi raita ready to serve. Isn’t it easy and instant, you can try it once so that you will prepare it again and again.